The Mombasa Serena Beach Hotel stunningly set on a rocky bluff amid gardens ablaze with bougainvilleas, overlooking a splendid Indian ocean. Styled to resemble a 13th century Swahili town complete with winding lanes, carved balconies, fountained courts and bustling market squares, the Serena Beach Hotel provides an oasis of tranquillity whilst delivering a unique mix of high-action water sports, sybaritic sun bathing, world-class cuisine and vibrant nightlife. 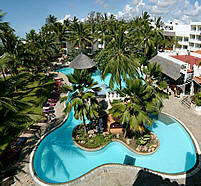 Bamburi Beach Hotel is a newly refurbished hotel facing the Indian Ocean, 20 minutes drive north of Mombasa. 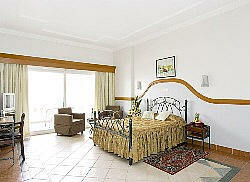 The hotel has 150 rooms, furnished with tiled floor and Arabian style furniture. All the rooms have air-conditioning, a private balcony, bathroom. 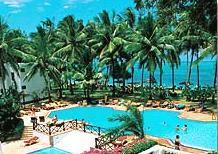 Nyali Beach Hotel was Mombasa's first Kenya's beach hotel on the mainland and had the pick of location. Founded by John and Eva Noon it opened in December 1946 It soon gained a reputation for first class hospitality and excellence which endures to this day. Set amid 20 acres of flamboyant tropical gardens, the hotel has been extensively refurbished and modernized while still retaining its period charm. Your first impression is of cool, whitewashed walls and tiled floors. There are ceiling fans, potted palms, stately marble and wicker furniture. The atmosphere is laid back and comfortable and the ambience very Casablanca. 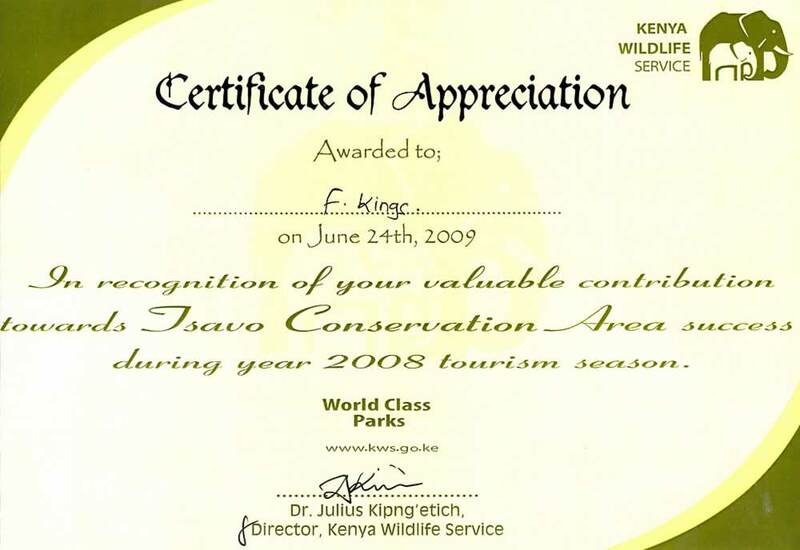 For years Club Sun N Sand has enjoyed an unrivalled reputation as on of the Kenya Coast most luxurious all-inclusive hotel with most rooms having sea view of the famous Indian Ocean. 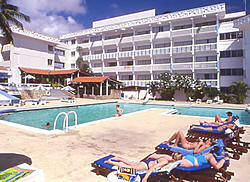 The hotel's various facilities make your stay relaxing whether on business or leisure. 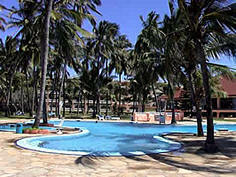 Whitesands enjoys the longest seafront on the North coast of Mombasa. 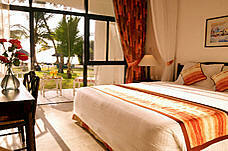 The resort is set among 22 acres of tropical gardens, swaying palm trees and fishponds. Five free form swimming pools are complimented with waterfalls, a secluded island, and an exhilarating waterslide. It has 340 rooms and suites all with balconies or verandas, and offer en-suite bathrooms, air conditioning, direct dial phone and in-room safes. Executive rooms also have satellite TV and mini bars. There is a presidential suite comprising of two en-suite master bedrooms, a spacious lounge, Jacuzzi and a veranda overlooking one of the swimming pools. Water sports include jet skiing, windsurfing, scuba diving, pedalos or kayaks, a ride on a banana boat or a sail on a catamaran. There are daily entertainment programs, and sports include tennis and volleyball in the games room, and a state of the art Nautilus workout room. 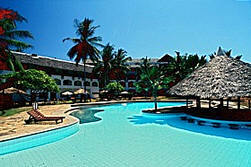 One of the finest holiday resort hotels on the famous Bamburi Beach. Located on the North Coast of Mombasa, Kenya's historic Indian Ocean town, Indiana, as it is popularly known, is within easy reach: 24 Kms from Moi International Airport and 13 Kms from Mombasa Town off the highway to Malindi. 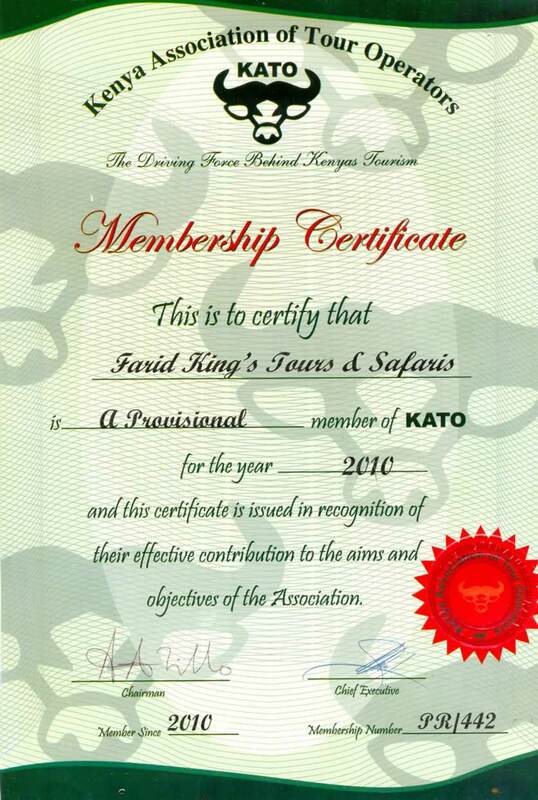 Fort Jesus where the rich Swahili culture complements leisure. The Castle Royal Hotel has recently invested in the latest state of the art computers and security equipments in all its rooms, which are beautifully furnished and equipped. All rooms are fitted with electric door locks, electric safes, air conditions, TV, Dstv channels, Ultra Violet retardant windows, sound proofing, and en-suite. The Mombasa Beach Hotel overlooks a splendid Indian Ocean beach, yet lies only 10 k ilometers away from the centre of Mombasa towm and 18 kilometeres the Mombasa international airport. 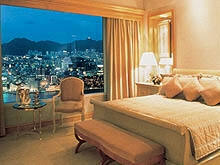 the hotel offers accommodation in 150 rooms and 6 VIP suites – all air conditioned. It The variety of five dining areas range from Maxims “A la Carte” Cellar to the informal Beach Bistro, all offering a high standard of cuisine and service. 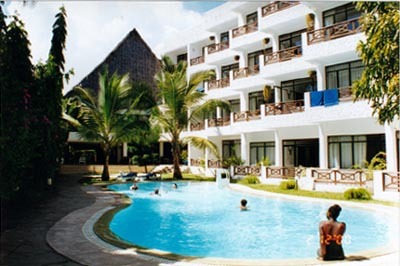 Mombasa Beach Hotel provides “round-the-clock” service and has all the attractions of a seaside resort, including tennis, sailing, wind-surfing, water slide, snorkeling and other water sports. Trips out to the reef with its magnificent underwater vistas can also be arranged. The hotel aslo boasts of a conference centre with a wide variety of meeting rooms which are able to accommodate up to 200 people in theatre style.